A couple of weeks is FOREVER AND A HALF in internet time and so here I am just getting around to posting about J-Hope’s “Daydream”, and he’s already on to the next one releasing a new video for single #2! OK, full disclosure… I initially had no idea that J-Hope was part of BTS. 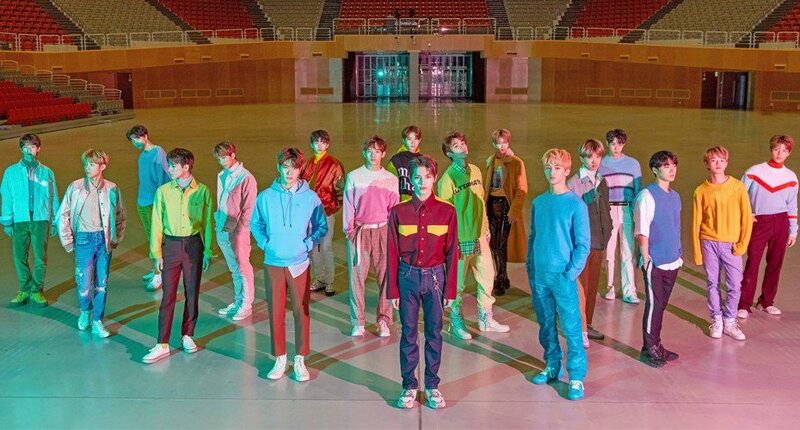 As much as I love K-Pop, there are very few groups where I know every member cuz the headcount can range from a (Western) traditional 5 to a (Asian Idol Group) sports team-esque total of 18 — ahem NCT 127 — and that’s just way too many people to keep track of. With BTS, the only one who I knew by name and would recognize is RM. Now that I know J-Hope is in the group, I had a “oh that’s him!” moment when listening to “Not Today” recently. I also had no clue that J’s mixtape Hope World has been a long time coming so its release is a big payoff for BTS fans who have been patiently settling for all sorts of IG posts, tweets and other teases promising its arrival. I was down with “Airplane” about a minute into my first listen/viewing. J-Hope’s impressive flow rides a beat that is a perfect fit for the track’s chill 90s hip hop vibe. The trippy visuals complement the lyrics as J manages to make Alice In Wonderland and Harry Potter references work seamlessly with LL Cool J influenced style choices. This is what I love about K-Pop productions—- they brilliantly take seeming disparate influences (House! PM Dawn! Dee-Lite! Tribal Print Varsity Jackets!) and somehow make it seem like a “duh, of course!” melting pot of ideas. Get all up in the insta-masterpiece that is “Daydream” below as well as the comedown and less impressive follow-up “Airplane” and the full Hope World Mixtape. Comments are moderated. Want your avatar to show up? Sign up with Gravatar.